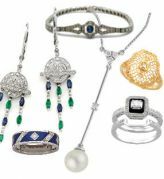 1327 Items. 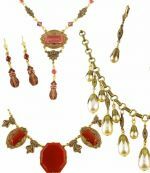 Showing Items 1306 thru 1320. 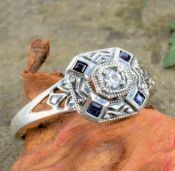 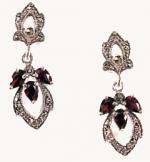 Filigree links with genuine Sapphire and Cubic Zirconia accents. 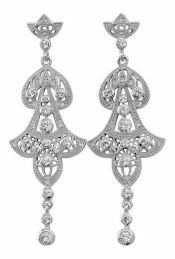 Elegant and timeless drop earrings with bezel set crystals make the compliment for bridal and formal wear. 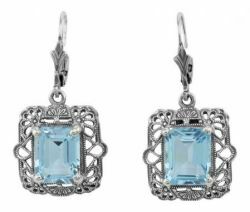 Choice of emerald cut 9.5x7.5mm amethyst, sky blue topaz, citrine or garnet framed in filigree. 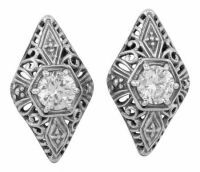 Featuring 6.0mm cubic zirconias set in a six pronged octagon shaped setting in domed filigree. 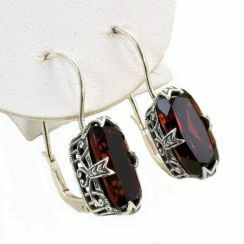 Featuring a 1.0mm approx. 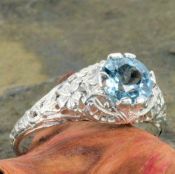 .01 carat diamond accent in the center. 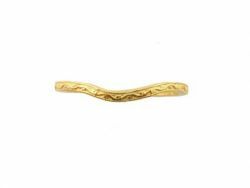 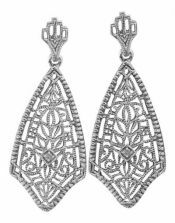 Featuring a diamond accent surrounded by intricate filigree that is embossed with millgrain accenting. 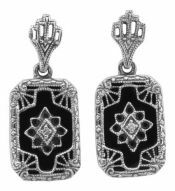 Featuring genuine black onyx tablets with a diamond accented center plaque that is framed in filigree. 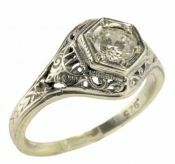 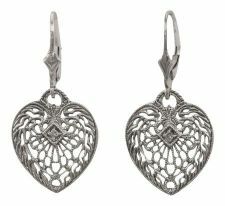 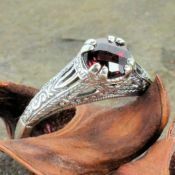 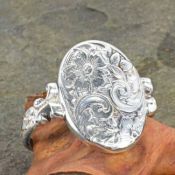 Featuring a diamond accent surrounded by intricate filigree in a heart shape that is embossed with millgrain accenting. 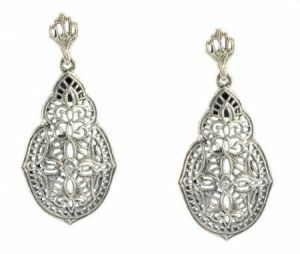 Featuring intricate filigree work with a split prong design in your choice of Amethyst, Cubic Zirconia, Green Onyx or Smoky Quartz.